You can learn more about the 2005 Paris riots that are the basis for Away Running on the book’s website, as well as read an interview with the authors, view a teacher’s guide for the book, and read a sample chapter. We’re giving away a copy of the book to six lucky people from the USA or Canada, so be sure to read David’s wonderful essay before entering at the end of the page! That’s what my editor at Orca suggested I consider when I asked her what I might write about for this blog post. And thinking about the question immediately got me thinking about my time playing semi-pro American football during my twenties in La Courneuve, outside Paris. More than the Keystone Kops antics of American football in Europe in the eighties and nineties, La Courneuve, my team’s home base, was completely unexpected for me. Suburbs in France work the opposite of those in the US. Buildings inside Paris are centuries old and incredibly valuable, so poor immigrants and much of the native lower-class–“les marginaux,” as the French call them–live in American-styled, high-rise projects on the outside of the city. My former teammates were a hodge-podge of suburban Parisians marginaux–the “beurs” (North Africans, mostly Muslim) and “renois” (blacks) who get followed by security guards in stores, who get hassled by the police during supposedly “random” stops to check ID papers. Our multicultural collective also included a few Serbian refugees who’d fled the war in the Balkans, two Poles who’d escaped Communist Poland–and some bourgeois French guys, too! We mirrored the larger society of which we were a part. How do you teach tolerance in an age of fear? After the Paris attacks and the Brussels airport bombings? After San Bernadino and just a few weeks ago, Orlando? With the rise of ISIS and the Syrian refugee crisis and Trump’s border wall, on and on? It all seems to run together, it seems of a piece. Since Virginia Tech and Umpqua Community College, students in Texas, where I live, can legally carry concealed handguns in university classrooms. We are most definitely living in an age of fear. Really? Is that the best we can–or should–aim for? Why not seek out this difference–and not just in the name of “political correctness” or as a gesture of politeness (though that’s plenty important, too), but for our own betterment. The more we know others, and know about them, only makes our own lives bigger, richer, more meaningful. But we wanted to turn it on its head a little bit. For instance, the least tolerant character at the beginning of the story is one of the more oppressed ones. 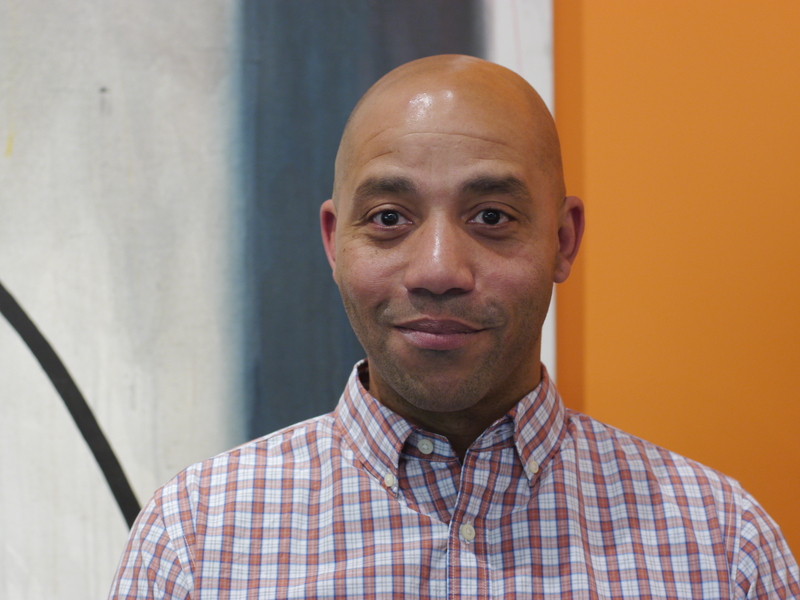 Freeman is a working-class black kid from the urban South. (Anyone who has been to Texas knows that it is as much, if not more, Southern than it is Western.) Free thinks that his only way out of the ‘hood is through sports–and he may be right in that. But he also sees the world through the very narrow lens of his limited experience. All the North Africans he meets in Paris are “Arabs” to him and to be mistrusted. He lumps all white people together in a similar way. He’s more generous in his judgment of them (his friend Matt; his host family), but by virtue of their race, he sees them as being of a single tribe, just as he sees himself as belonging to a particular tribe, one whose name is written in the color of his skin. Freeman gives himself credit for “tolerating” these people, but he can only see their difference. The other main character, Matt, who is white, is more generous in his worldview (and, significantly, has had more experience in the larger world outside his hometown). More than merely tolerating, he’s actually drawn to the “Other.” But his inability to recognize his own privilege–how the world views and treats him differently because of his whiteness and his financial privilege–keeps him from truly seeing them. In regarding them as Other (even if their Otherness attracts him), he is also shackled to preconceived notions of difference. But Luc and I didn’t want to construct facile “straw men” either. The police aren’t merely uniform, faceless stormtroopers like in Star Wars. We wanted to complicate even minor figures. We didn’t want to merely “tolerate” the villains of the story. We wanted to humanize them. Because when we merely “tolerate” another person, foreign or not, ally or adversary, we are, in essence, distinguishing that person from ourselves. We’re creating an “us” and “them” that, by its very definition, emphasizes divergence and even dissonance. We, as humans, are so much more alike than we are different. Freeman, in Away Running, has more in common with Moussa, whom he mistrusts and, on some level, fears, than he does with Matt, with whom he bonds because of their shared North American-ness. And Matt, in his fascination with and attraction to Aïda, comes to understand that the fierce curiosity and daring independence that they share unites them. He and the Muslim girl are more of a kind than he is with any of his teammates. To know others you need to move towards them, you need to be curious. To try to know others is to know yourself better. They are the mirror in which we can find our own reflection. So maybe in place of an idea like “tolerance,” we should encourage “curiosity.” Maybe when we see unease and mistrust, “experience” should be championed instead. Maybe we should adopt a view like France’s SOS Racisme organization does: “Touches Pas Mon Pote.” Don’t mess with my buddy. The slogan means that I’m not merely going to “put up” with others–to endure them without repugnance. It claims the Other as my friend and declares that I’m going to defend her or him. And not just their presence, their right to be here, but their right to be whomever they are. “Tolerance” is such a small word. Wouldn’t our lives and our communities be so much bigger if we, ourselves, strove to be bigger, too? This giveaway is open to US and Canadian mailing addresses only. I look forward to reading this book. I just returned from two months in Portugal and have been watching with dismay the rise of the far-right in other countries on the continent and, of course, in Britain. Thankfully, the racist, xenophobic right has not made inroads in Portugal, in large part because memories of life under an oppressive fascist regime mired in colonial wars throughout Africa are still fresh. Does The Absolutely True Diary of a Part Time Indian count? I loved it but it doesn’t come to mind when I think sports book, even though basketball is heavily featured. Fire On The Beach was a great read and I am sure AwayRunning will be another fantastic book! I just read Jason Reynolds and Brendan Kiely’s All American Boys this past week. Basketball features heavily because one of the main characters plays on the team with some of the other main characters best friends. We never see a game, but the practices serve as a backdrop for these two groups of people to be together. 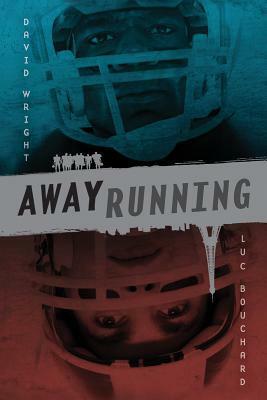 I already knew about Away Running when I read it and thought it would make a great companion read to AAB. Great post, by the way, and win an ebook or not, I’m definitely going to be reading this one. Thank you! I just finished reading Jerkbait by Mia Siegert, which focused on hockey for a good portion of the novel. I’m not into sports but am trying to read more Ya lit that includes sports, so Away Running sounds like the perfect book for me, especially given the other topics it explores.